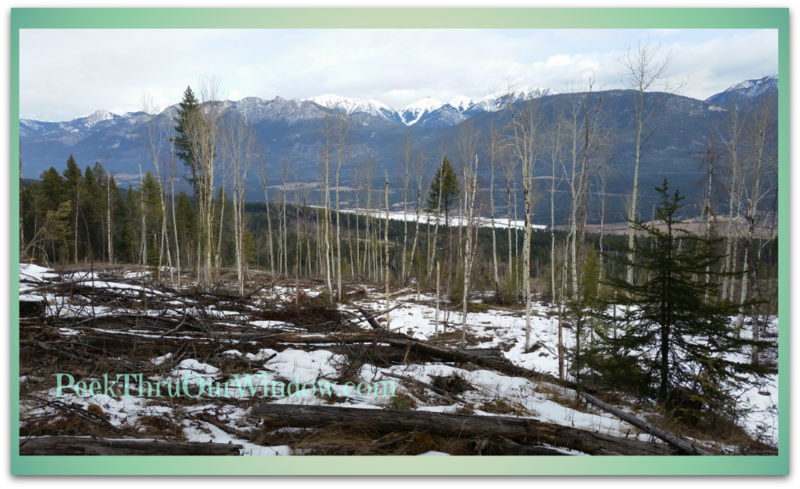 This edition of Wordless Wednesday, was taken from a ridge on Steamboat Mountain, near Radium Hot Springs, B.C. Looking down over the Columbia River Valley (the largest natural wetland in North America), from a freshly logged patch. I still look at this view and feel such awe... but the realities of logging leave me feeling confused. While I do appreciate the thoughtfulness given to logging these days versus in the past (clear-cutting is BAD), the foreground tells a story I wish not to know. For more mountains shots, click here or here.